The Kreg 90° corner clamp gives you the helping hand you need to hold 90° corners and “T” joints together securely when you’re assembling boxes, drawers, cabinets and cases. Plus, the 90° corner clamp leaves both of your hands free to add your fasteners. 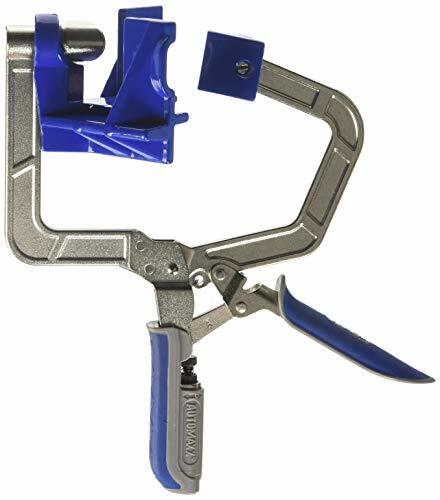 The 90° corner clamp is the fastest, easiest-to-use corner clamp you can buy thanks to Kreg Automaxx auto-adjusting technology. View More In Angle Clamps. Yost WV-7HD Heavy Duty Corner Welding Vise, 7"